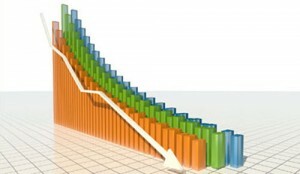 Car sales have taken a tumble in September 2011. Private registrations are 9.3% down on September 2010 but due to strong fleet sales the total number of new cars, 332,476, was just 0.8% down on September last year. The Ford Fiesta was the best selling model in both September and the year-to-date. Small cars made up 37.8% of total car sales for September, and we are buying greener cars too, the average new car registered between January and September 2011 had CO2 emissions of just 138.5 g/km, down 23.5% from the year 2000 level of 181 g/km. Year to date sales are down 5% with 1,553,094 new cars sold in 2011 compared with 1,635,659 so far in 2010. So far this year 82,565 cars have been sold than last year.